We have some stunning work featured in each issue, so we’d like to introduce you to the people behind the cover art. 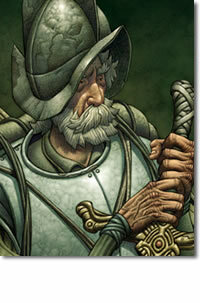 Diego is based in Sheffield, UK where he is a comic artist. Will is a regular contributor to Irregular, as he’s the man behind our Tuk Tuk comic. 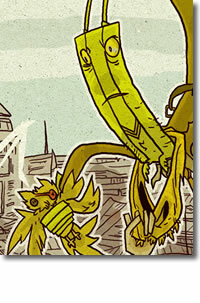 Diego is based in Rio de Janeiro where he is developing research on the use of visual arts, illustration and comics. 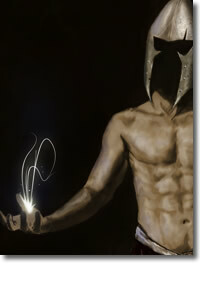 Both his blog and portfolio site contain a great range of work, showing what a versatile artist he is. Giovanni is based in Spain and works as an illustrator. 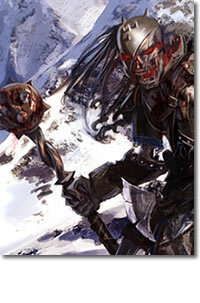 He has worked on a wide range of pieces, including character designs for Dragonblood Miniatures. His blog is a gallery of artwork, including how some pieces have progressed, and a good look at his gallery will show how he adds real character to each piece. As a freelance, digital artist, Ricardo combines his fine art training with his love of fantasy and sci-fi to create concept art and illustrations for the entertainment industry. 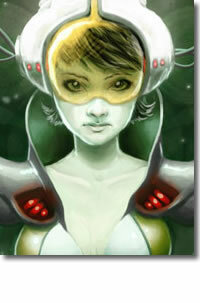 In 2009, he had work published in ImagineFX, and in Exotique 5. 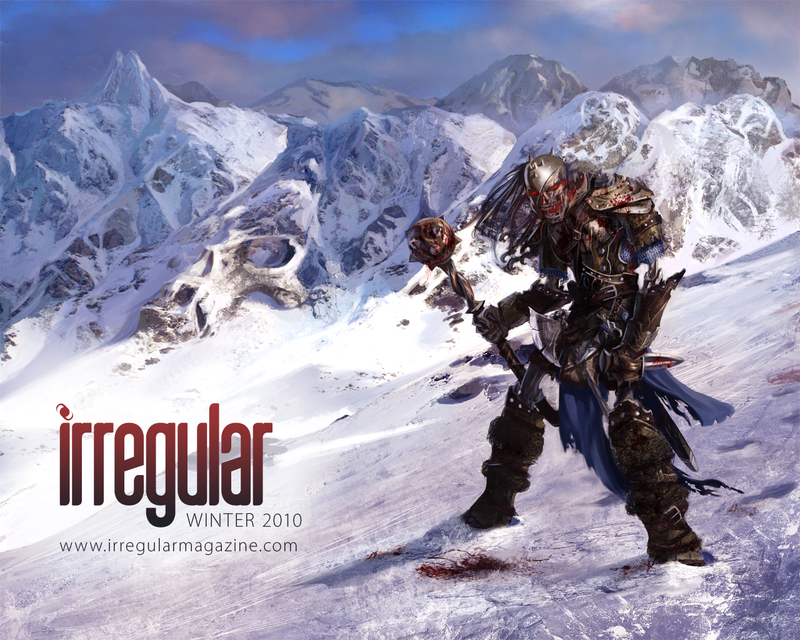 Ricardo is based in Brazil, and was full of ideas for the issue 3 cover, which culminated in this wintery, undead warrier. 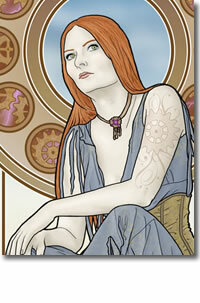 A unique mix of graceful ladies and art nouveau provides the signature for Vyctoria’s work, much of which also has a heavy steampunk influence. Known as Phantoms Siren online, her work recently made the Deviant Art, Digital Art Christmas Feature. The beautiful landscape Vyctoria designed especially for the cover, can be seen at its best in the desktop wallpaper. Not only did Matthew set the standard for our cover art, but producing the cover for our first issue, he’s also the man behind our logo. Sheffield based, Matthew is a designer, programmer and guitarist, with a passion for dinosaurs. 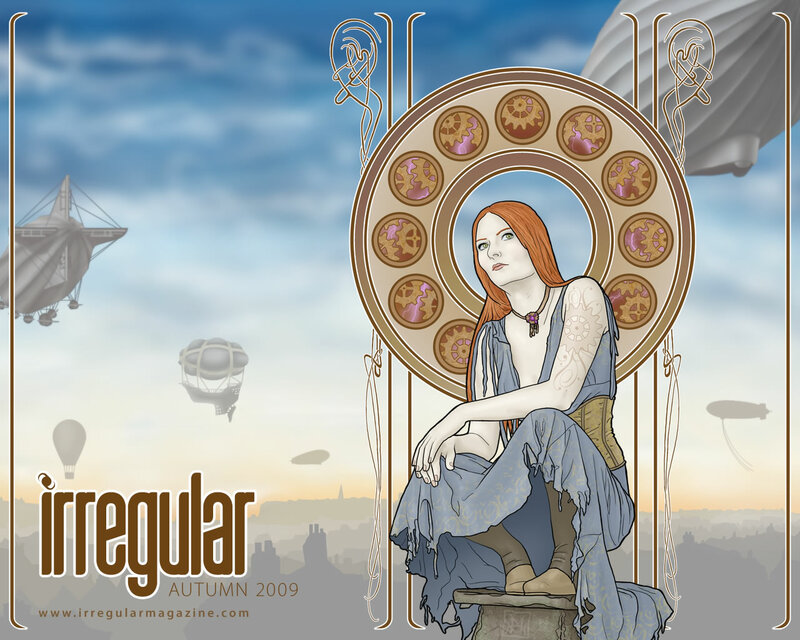 Matthew is involved with each issue, adding the text and logo to the cover.